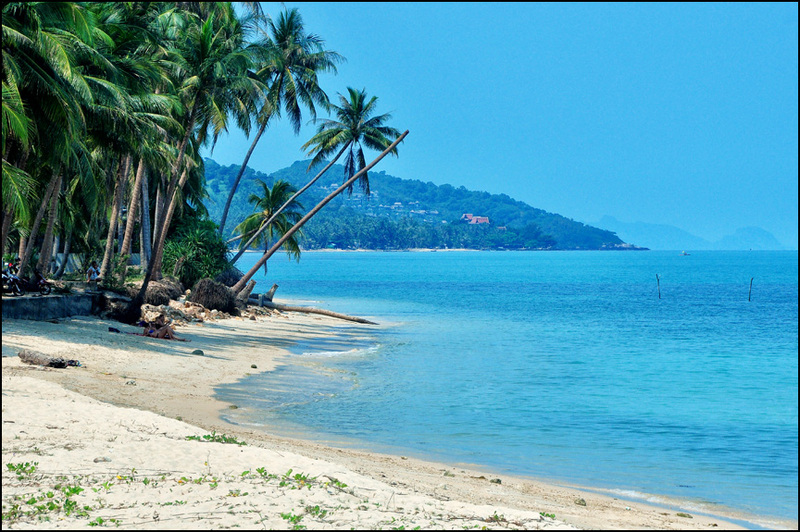 The weather in Samui is consistently making us all happy and making me go to the beach more often. 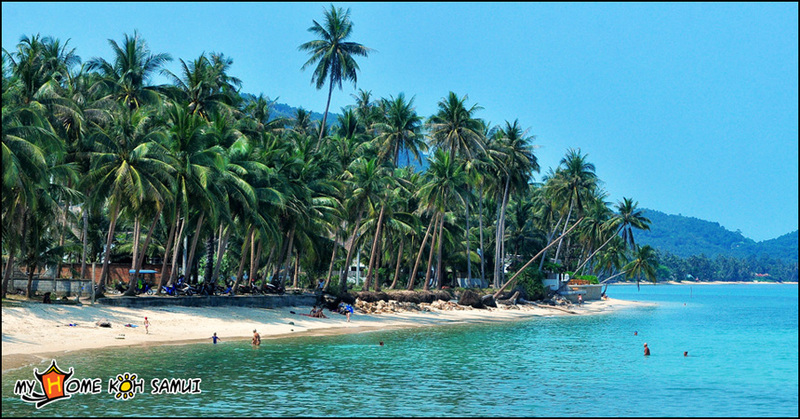 Yesterday we went to Lamai beach, and had enormous fun in the big waves, messing around. 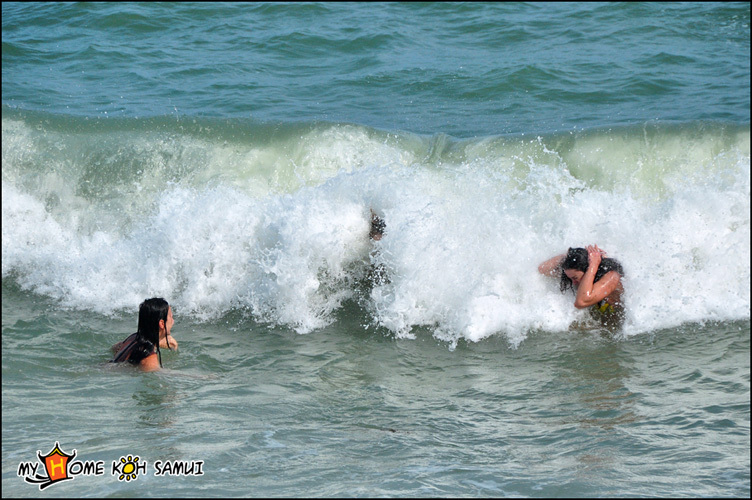 I think I lost a couple of kilos trying to fight the waves. 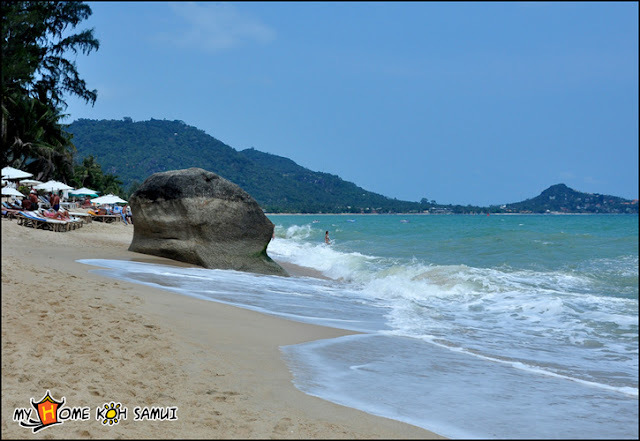 And today we went to Ban Tai beach, where the sea was totally quiet - what a difference!! !